Oak House is situated in the small town Cullinan, North of Pretoria. With many natural beauties the town and Oak House has plenty to offer to a variety of customers. Oak House was built in the early 1900’s and was built as the house of the general manager of the mine at the time. Oak House is the home of the original safe that was use to keep the world famous Cullinan diamond, which was a gift to the Queen of England. This incredible piece of history forms an intricate part of our Honeymoon suite’s décor. Oak House is stylishly decorated with original pieces of furniture shipped from England in the early 1900, for the general manager and his family. The Edwardian style and influences can be seen throughout the old sand stone guest house. 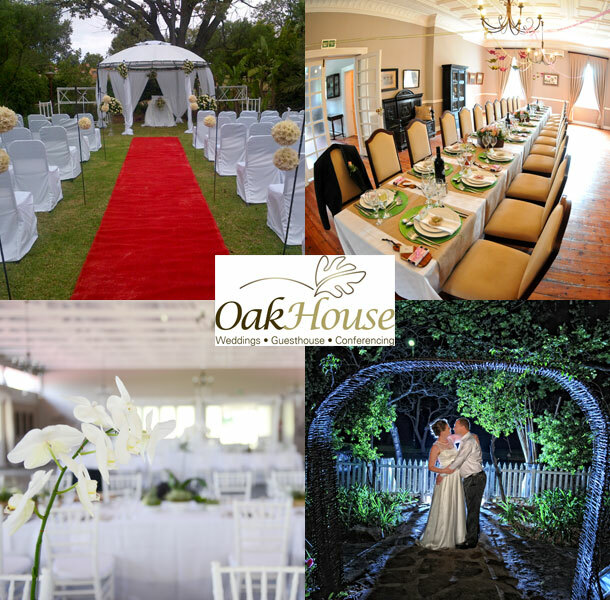 Oak House prides themselves in their hands-on approach to planning and involving all the important role players of your wedding in order to ensure a memorable and stress free wedding experience in the magical surroundings at this Gauteng wedding venue. Sir Herbert Baker’s designed Anglican chapel which is a mere few metres away from Oak House set the perfect mood for an intimate, romantic wedding ceremony. Your choice of two possible venues both with their own bar and atmosphere. Our smaller venue, which has a very warm and homely atmosphere, forms part of the old sand stone guest house and ensures that your small, intimate wedding of no more than 50 guests will be remembered and shared with your loved ones. 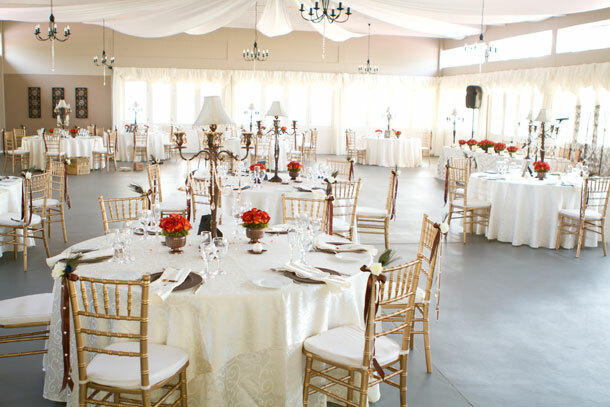 Our larger, banquet hall is a magnificent structure where old meets new. This venue is the perfect place for you to share the first day of the rest of your lives with your family and friends. The high, white roof trusses mixed with white wooden doors and corrugated iron forms a unique and beautiful setting for any special occasion. Our very capable team will ensure that your dream day will become a reality. Our Honeymoon suite with a lovely breakfast the following morning is included in our wedding package. To book this beautiful venue visit Oak House. Looks really pretty there, what a nice venue!